In the world of poker, tempers can flare pretty easily. We’ve written a lot about the psychological side of poker, and some of you might wonder why. Well, it’s pretty simple: if you haven’t mastered your mind, you won’t be able to master poker. Yes, we all have seen WSOP moments where some of the players are rowdy or they take losses hard, but these moments are few and far between. When you’re playing your best game of poker around, you don’t need to have that type of attitude. It’s just a matter of sitting down and thinking about the right perspective, each and every time. Do you have to fast play in poker? Well, it’s a matter of figuring out what we mean between “slow ply” and “fast play”. In this case, we mean the type of betting that you’re doing. When you have a monster hand, one of your first reactions might be to cheer or otherwise act rashly. The thing is that players on the table are going to realize that you must have something good, which means that they’re going to fold. If you have a monster hand and you try to bet heavy right before the flop even comes down, you’re going to signal too much. This is where the slow play approach really comes in because you don’t really have that problem. If you have a great premium hand, you’re going to have to hold onto it until you can get other people to put some real skin into the game. This means that you might want to wait until the turn in order to bet real heavy. Does that mean that you don’t want to raise a little in order to keep everyone going? Of course you want to make sure that you bet along with everyone else. In order to give yourself a few guidelines, you might want to look at not only the chip stack that you have, but the chip stacks of everyone else. You will also want to look at the type of card odds that you’re up against. Knowing your poker math comes in handy when it comes to a wide variety of situations! Let’s not forget the fact that you also want to be changing up your game from time to time, especially if a lot of people have played you. You might not think about it from this perspective, but word really does travel fast around the world of poker. This means that it can be tempting to think that things won’t get back to people about you when you’re playing online, but this isn’t the case. You will need to also feel out your opponent to make sure that you’re playing against someone or a group of people where slow playing your hand is really going to be the best thing. You might think that doing this to beginners is your best bet so to speak, but that’s not true either. You will actually get a lot more mileage out of the whole thing if you were to really go against advanced, aggressive players. This is because they will push in hard and with you just calling or betting light and easy, they will assume that they have you beat. When people see that they have you beat, they can bet heavy and even go all in — this is how you steal advanced player’s chips. Keep in mind that everyone is susceptible to psychological games, and slow playing is just one facet of your overall toolkit. So yes, slow playing is definitely a good thing — start light and easy and work your way up. You’ll where you want to go in no time at all! Grab that Preflop By the Throat and Raise! Okay, so we’re a little excited. Anytime that we get to talk about aggressive poker moves, we get excited. To us, poker is all about aggression, and the poke battles are often won by the aggressive person, not the weak limper. Therefore, if you want to maximize poker profits, you need to isolate moments where you can actually be pretty fierce. The preflop is that type of time. Keep in mind that a lot of people will have good hands, but they don’t bother getting aggressive. They’re passive, calling stations that will not take the initiative. Instead of just letting them see the flop for cheap, make them pay for it. If you’re the first person to enter the pot, you need to be raising. 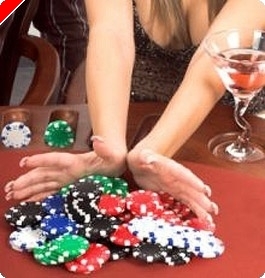 Of course, if you don’t have a good hand then you need to fold and get out of the pot. If you have modest hands like TJ suited or QJ suited, you can feel free to raise. KQ, AJ? Raise. However, if you’re under the gun you might have to fold these. Suited connectors still tend to do very well, and it gets people going at the table. Betting wisely holding these connectors can add more profit to your bottom line. Position definitely matters. If you can be in late position, then you definitely want to raise pretty hard. On the other hand, if you’re in the blinds, you might not want to raise as much. It’s a really bad position to be in, but it’s going to just depend on the type of situation that’s around you. It cannot be stressed enough — make sure that you’re looking at the image of the other players. We can give you all sorts of advice, but you want to make sure that you have studied the people that are playing with you. Your raise size should be based on the position that you’re in. Generally speaking, if you’re on the button, you want to bet a bit smaller than normal but if you’re under the gun, you want to go out with both guns blazing. It’s important to stand your ground if you have a good hand. Of course, if the flop swings out of your favor, then you have to fold and wait for another hand that’s going to suit you better. Trust us, the image you create will not be forgotten easily. Good luck! Table Selection in Poker Matters – Here’s Why! Does table selection in poker really matter? Absolutely. As a new poker player, you might be compelled to just sit at any table and hope for the best. However, thinking through your table selection really makes a difference. Unfortunately, many new players just don’t know where to be. That’s perfectly okay. After all, you’re in the best place to learn this type of thing. Table selection can definitely affect winrate, and there are factors that make the difference between a good poker table and one that you should avoid. A great table has many factors. For starters, you want to look for a table that has weak players. If that sounds too predatory for you, you’re in the wrong casino game. Poker is all about being as predatory as possible. Those weak players have chips that you can take, and chips are money. It’s really as simple as that. If you can get position on fish, this means that you can play pots in position against them. You can find weak players because they have a stack size smaller than 100 big blinds. Strong winners usually have more than 100 big blind and they auto reload to stay in the game. You want to have a good position that lets you have position on as many weak players as possible. The tight players should be on your left, and the loose players on your right. We also like tables that have a high percentage of seen flops. This is a sign that loose players are sitting there. Loose players don’t think about hand selection or flop evaluation very much, which means that there’s a chance for you to take their chips with ease. Juicy tables make for profitable play and long term winning numbers. You also want to see what the average pot size is. Large pots also indicate fish, and we already explained our love for fishy players. See if you can get high up on the waitlist so that you have time to scoop up as much of the fishies’ bankrolls as possible. Looking at the stack size matters as well. Weak players have less than 100 big blinds (40-90BB is the range that you’ll find most of the time). The time of day definitely matters. If you’re targeting fish, you’ll find them playing after they get off work. Remember that work is stressful, and stressed players tend to tilt very easily. This is where having a good idea of the psychological side of poker comes in handy. It’s always a good idea to figure out what you’re going to do to push someone’s mental buttons a bit. If you can get them rattled, then you can beat them. It’s really as simple as that. You’ll have to play around with table selection for a little while until you get it right. There’s nothing that says that you can’t do well in poker with a little strategy, you know! Keep playing and good luck — may the cards be with you, always! Position in poker is something that really matters. In a nutshell, position refers to how action moves. Starting from the “button”, action moves from left to right. This means that the person that acts last has the most information than their opponents. This means that they can look at where they stand in a different way, making better decisions. It’s true, but you have to also think about the early position player — the one who acts first. Let’s set up a basic hand of 87s. It’s a suited connectors hand, and we like those for a lot of different reasons. We have potential for not just a straight, but a flush as well. If we catch the straight, great. If we catch the flush…even better. 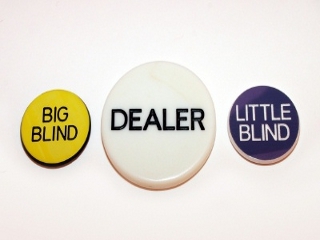 What happens when you’re sitting in the big blind and the player on the button raises to three times to big blind? You can fold, but that just wouldn’t be fun. You want to make sure that you see if they have a hand that could beat yours. If the flop comes down A-K-9, all different colors, it’s a good idea to fold to that bet. Otherwise, you’re going to end up paying a lot of money trying to see each and every card, hoping that you’ll get trips or a last chance flush. This is also where looking at how your opponents are playing really makes a difference. You want to ensure that you’re not ignoring the power of betting. If someone is betting hard, they really might have something. It’s better to fold and let them have a pot, then lose in the showdown because you were too stubborn to pull out. This is a mistake that new players make, even though veterans can be just as guilty. You might feel that it’s best to stay the course, but the reality is that you have to really think long term rather than short term. Don’t chase every hand. This is even more the case when it comes to tournament play. There’s no better way to get knocked out of the money than to chase each and every hand, when it’s better to fold. Will you give in to bluffs now and then? Of course you will. But will you stay in the game longer? Definitely. You have to balance playing hands that are bad against forced bets (small/big blind). The blinds will eat you alive if you don’t take action, but that doesn’t mean jumping into every pot either. It’s a lot of things to consider, but being out of position can still be lucrative in its own way. It comes down to reading what the early position and late position players will actually do before you get into the middle of things. Good luck! We’ve had a good time teaching you the fundamentals of poker all over again. Again, it cannot be stressed enough — learning the basis of what makes good poker is better than not learning anything at all. Or worse…going through things based on fear or gut emotion. There are going to be times where you go with what your gut days. But that doesn’t mean that it’s necessarily the best choice that you can make. The reality here is that it’s all about doing what’s going to be profitable. There is a world of difference between trying to play for a house game between your buddies, playing on Facebook with a free poker game, and then trying to go into real money poker. If you think that your little Facebook app is going to be competitive, you haven’t seen real money poker. It’s a pretty fierce battle that attracts quite a few poker players. You will need to make sure that you are at least looking at the fundamentals. We talked about the different characteristics of poker players, and we went into aggression a little bit. You might not realize this, but aggression is something that can be definitely measured. You will need to look at the aggression factor in poker, which is very important. Simply put, the aggression factor is a stat found in heads up displays — you know, the software that lets you gain a better picture of what your opponents are really like. The aggression factor is derived from the sum of bets and raises, divided by calls. Keep in mind that the number has to be viewed in the context of the other numbers. You need to make sure that you are looking a player that has honestly played enough poker to yield good statistics. Do you really want to go after 50 hands… or 5,000 hands? More is definitely better in these circumstances. Of course, when you don’t have a good aggression factor on hand, you will need to look at how the person is playing. Knowing how aggressive a player is can help you figure out if they’re likely to bluff you or actually have good hands. Good luck! Yes, we know — yet another guide on how to prepare for a tournament. However, let’s be real for a moment here: can you ever be too prepared for a tournament? Can you ever get to a point where your poker game is absolutely perfect from every angle? If you can, you should definitely stop and tell us how you did it, because we would sure love to know how you achieved that. For the rest of us, we need all of the help that we can get to be the best poker players we can be. In fact, it’s they poker players that constantly read guides on different techniques in poker that ultimately become the most successful. It’s the ones that assume that they already know it all that end up becoming the ones that bust out first. Coincidence? Perhaps, but we don’t think so. It’s better to just push forward and get things done rather than assume that there’s no way that you can make anything happen. Tournaments are going to be a test of not only skill, but also confidence. There’s a psychological game going on as well, and if you’re not cool under pressure it’s going to be obvious. Bad calls here and there are something that you have to deal with, but the reality is that you don’t want to just assume that you will never have anything to worry about — it’s just a matter of moving forward and committing to doing great things rather than just assuming that everything will be just fine as long as you can wing it. Trust us, there are already going to be a lot of players out there trying to wing it, and this means that you will need to think strategically. Studying the players that you are at the table with is always a good thing. You will need to think about the way they are playing right at the moment, as well as their current chip stack. You should never forget smart bankroll management procedures. Far too often new tournament players get caught in the moment, and that’s when they start making decisions that they will ultimately regret. For example, let’s say that you sit down at the table and first time out the gate, someone goes all in on the pre flop. You have 98o. Is that really a hand that you want to risk your entire stake on in the tournament? Not really. Even if you do manage to hit something, there are just too many other combinations that could beat you and then some. While we don’t want to assume that someone has a super hand just because they go all in, it would be better to assume that they just could be dangerous enough to hit something and you are the one that has to pay for that. Don’t ever be afraid to fold while everyone else is jumping all in. Think of it this way — that’s just fewer players that you will have to deal with in the long run. We’ve seen tables where half the table went all in and busted out in the same breathe, leaving behind maybe two or 3 people after all of the shaking stopped. People can play emotionally and this causes them to play wildly, all in the hopes that they’re going to hit something long enough to knock you out and create a clearer path to the money. You cannot get emotional. We know that we say this a lot, but the last thing that you really want to do is get so worked up that you don’t take care of the things that matter. That’s not a good idea at all — you tend to lose track of poker theory when it’s all about just getting over on someone else. Ultimately, it will come down to this: who is more caring of poker theory? Who is more emotional than the other person? Who will be willing to take big risks and go all in when they really do have a good hand? You’re going to have a lot of things on your plate, but the reality is that if you even give half of these things the attention they deserve, there’s nothing stopping you from going all the way to victory — a big pot of cash! In todays increasingly digital world, online poker has become highly popular and played by many all around the world. So if you are planning to make the switch from live to online poker and take advantage of some of those online poker bonuses sites like www.pokermira.com offer, keep on reading this article. There are several important differences between live and online poker, the majority of which tend to be overlooked by players seeking to make the switch. Understanding these differences is, however, essential if you are to ensure success. So whether you wish to go online for financial or practical reasons, it is worth preparing yourself in order to make the most of your transition. Probably the most critical difference to consider when making the switch from live to online poker is that reliance on reading other players’ tells will not suffice in the virtual world. It is betting skills, not reading skills, that are of utmost importance when playing online, so live players seeking to make the transition must ensure their tactical decision-making is up to scratch before switching. In a live game, poker players tend to have a few minutes to recompose themselves after coming up against a bad beat or making a bad play. Due to the speed at which hands are dealt in the digital world (up to 200 hands per hour), this is not the case when playing online. Newcomers to online poker must learn to adjust to this faster pace, particularly if you are prone to tilting during the course of live games. Another often-overlooked psychological element to online poker is the hours of solitude that playing entails. Online poker inevitably involves long periods alone, without distractions, in front of a computer screen. It lacks the social interaction and atmosphere that live casinos provide, and can often become a serious sticking point for players used to live games. 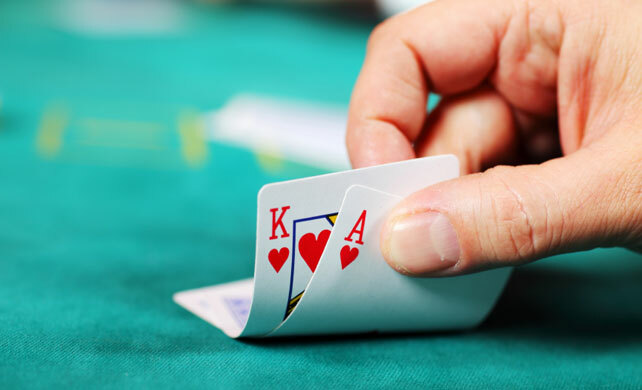 There is no guaranteeing the calibre of player your will be facing when playing live poker, Casinos are usually comprised of a combination of standards, from the occasional gambler and complete novice to the seasoned expert. Online casinos, on the other hand, are usually frequented by many more online poker professionals; those who actually play online poker for a living and are thus a great deal more competent than your average casino player. Newcomers to the online game should certainly bear this in mind and perhaps expect to come up against stiffer competition than they are used to. For newcomers to online poker, multi-tabling should be approached with caution. It demands a quick wit and a great deal of stamina to pull off successfully, but can be greatly profitable for those who do in fact succeed. If you chose to play single tables, you should remember that many of your opponents will not be. As a result, marginal hands and careful prioritising will be taking place, unlike in a live situation where players are often a lot looser and more impatient, risking more on marginal hands than in online situations. Understanding the differences between live and online poker is essential if you are to make a successful transition, so ensure you are fully prepared before taking the leap into the digital world. Don’t Lose Hope – Your Poker Brain Is Truly Mighty! Every poker player has strengths. Every poker player has weaknesses. Trying to figure out how to leverage your strengths and downplay your weaknesses is truly the name of the game. There’s no need to feel like you’re the only one in the world trying to make this a reality. A lot of newbies enter the game of poker and feel like they are never going to get ahead. Even after playing thousands of hands — and we really do mean thousands of hands — we often feel this way too. It feels like no matter how much you win — you could have won more. If you lose — you could have done better. There’s always an avenue that you can use to beat yourself up with. We like to tell our fellow poker players to just relax. Trying to figure out every single thing in poker over a short period of time will be enough to drive you crazy. Now, you might point to some people in the forums that really look like they have their wits about them. The truth is that everyone can position themselves as a legendary poker player, but it really takes a lot more than just words to be a legendary poker player. If you look at the people that are crushing it in the poker world right now, they all will admit to long hours of practice. They will admit losses. You don’t get a 100% win-rate. The luck of the cards just isn’t always going to be on your side. So what does it really take to win in the game of poker? Longevity. 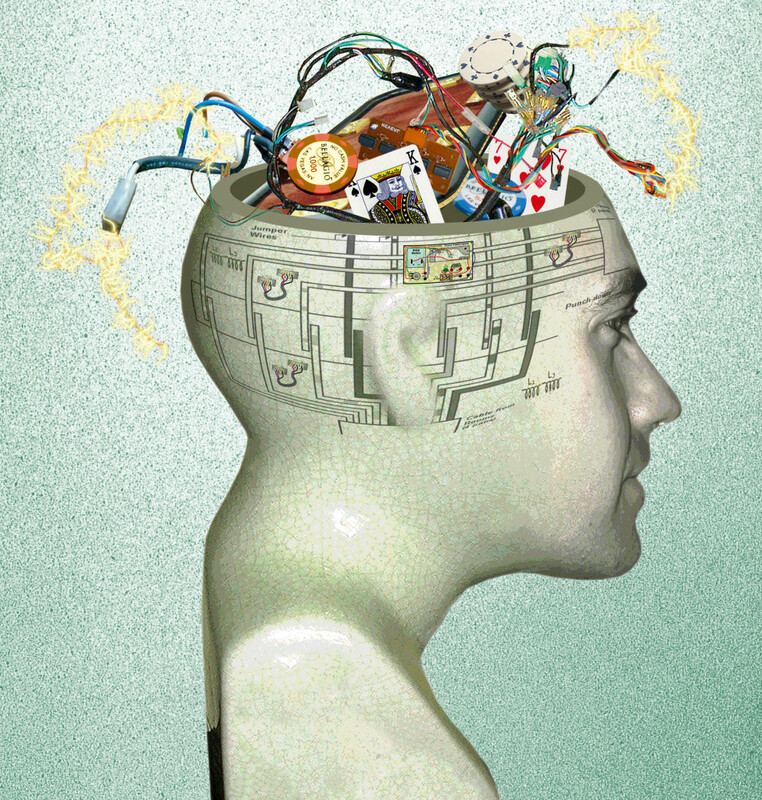 You have to believe that your poker brain truly is mighty. If you assume that you’re never going to do any better than what you have right now, you’re going to find yourself carrying this belief into all of your card games. You will sit down at the table and feel like they’re just no way that you can beat anyone. The truth is that you probably know a lot more about the game of poker than you might expect. The reality here is that you must reach within to see that strength. Are you good at reading people? Can you take a whole round and determine who’s a donk, who’s a rounder, who’s a shark, and who just wants to try to be a maniac about the game? Some people are really good at this. Or maybe you excel at staying calm when the whole table is going nuts. Getting angry with bingo players that go all in on everything is the wrong way to see poker. Sure, they’re going to get lucky sometimes. But they do know pot odds like you do? Probably not, if they’re just going all in blindly. This goes for super loose players that seem like they will play anything that you throw at them. They might win sometimes, but if you use classic poker theory, you will eventually triumph over them. It’s all about looking at where you want to be in the online world over time. Long term play will always win out over short term play based on faulty thinking. If you think that you can’t beat anyone, you’re practicing faulty thinking. And remember, negative thoughts tend to leave you playing emotionally. This is a wonderful way to lose money, not make money. Sure, there’s a certain level of intuition to be found when you’re trying to tie things together. You might play a hand just because you feel so strongly about it. But you have to be prepared to lose if you do that. Can you handle that type of loss? If not, then you definitely know what you need to do. Right now is the best time to sit down away from the computer and evaluate your poker game. If you must go to a PC to look at your stats, try to be good to yourself. You have a lot of profits to make in poker, but if your mind gets too worked up you’re going to be in for big surprises. Get started today by checking out USA online poker for tips on best USA poker sites!